Outside: Another birthday. 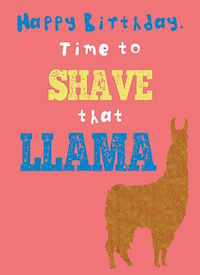 Time to shave that llama. Inside: Or maybe you celebrate differently where your from.